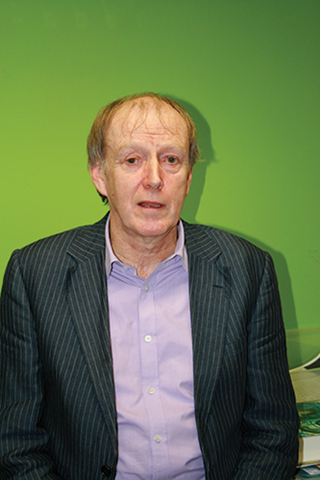 Liam Kennedy, the co-editor of a new history of Ulster’s last 400 years, explains how past economic achievements and relative peace can give inspiration for the future. It is said that editing a book with many contributors is a bit like herding cats, and perhaps even the notoriously-fractious Kilkenny cats at that. The preparatory work for ‘Ulster Since 1600’ goes back almost five years. The two editors, Philip Ollerenshaw and Liam Kennedy, recruited some 23 scholars – historians, economists and political scientists from Ireland, Britain and North America – to survey the historical evolution of the province from the Plantation of Ulster to the present. It might have been an ill-fated voyage, not least as we could not afford to leave any major themes or headlands uncharted. Thus each crew member was vital to the collective project. The glad news is that not a single one of the 23 authors jumped ship. Various perils notwithstanding, the fruits of the voyage are now safely anchored in the safe haven of Oxford University Press. Ulster is arguably the most distinctive of the Irish provinces. It also has some claim to occupy a niche on the world stage. In micro-cosmic form it encapsulates a range of pressing issues: overpopulation, famine, migration, industrialisation, de-industrialisation, family life, gender discrimination and ethnic conflict. Because the scale is small, the processes are all the more intimate and visible to the time-traveller’s eye. So, the Ulster experience speaks to a much wider audience than those of us who inhabit the ‘narrow ground’ of present day Northern Ireland. Leaving aside the grim prediction, it needs to be emphasised that this was not the pattern of the past. The great historian of Ulster, ATQ Stewart, reminds us that before 1965, murders were rare and so particular murders were talked about for years afterwards. There is much more to the history of Ulster than mayhem. 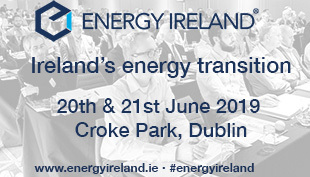 It was this radically re-constituted society that produced a precociously early emigration to North America, that celebrated the outbreak of the French Revolution, and that in the Victorian era hosted Ireland’s first industrial city. Its rural poor suffered destruction and death during the Great Famine of the 1840s, along with their counterparts in the south of Ireland. Its urban working classes had much in common with the industrial classes of England and Scotland, in terms of religiosity, popular entertainment, labour movements, gender and family relationships. Moreover, the history of the economy in Ulster is one of remarkable achievement in the face of adversity, from the early formation of the linen industry to the forging of a massive industrial complex on the banks of the Lagan. By the early twentieth century the Lagan valley, in terms of engineering expertise, research and innovation, bears some comparison to California’s Silicon Valley in our own times. An appreciation of these successes could be a source of inspiration and confidence for the future. 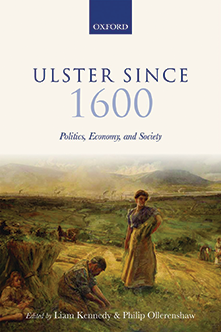 In terms of approach, ‘Ulster Since 1600’ places particular emphasis on the everyday lives of the people: how they made a living, the state of their health and working conditions, when they married or migrated, and how they sported and prayed. The big names are there of course, from Sir Arthur Chichester, the architect of the Ulster Plantation, to Lord Edward Carson and the First Minister of Northern Ireland, the Reverend Ian Paisley. But, at heart, this is a people’s history of the ‘Black North’, whose fortunes over the last four hundred years were so inter-twined with those of Ireland, Scotland, England and North America.